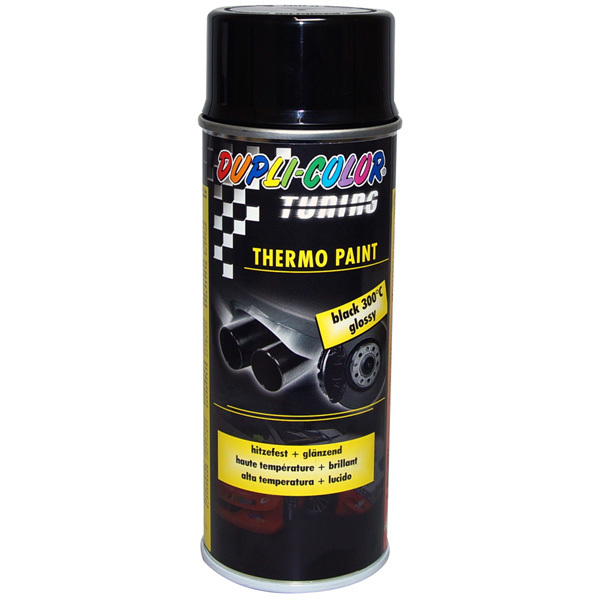 Black glossy, heat-resistant special spray paint; resistant up to 300°C. 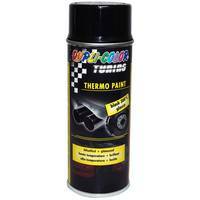 Ideal to paint objects at the car around engines, exhaust mufflers, brake callipers etc., which are exposed to heat. 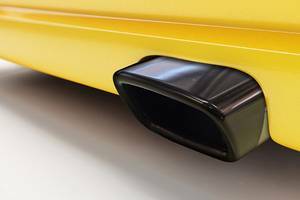 Also for application on chrome-plated surfaces.